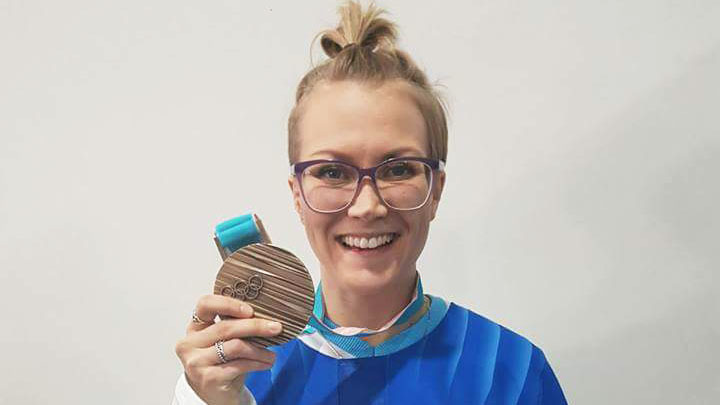 Bison forward Venla Hovi with her bronze medal from the 2018 Winter Olympics. Supplied. 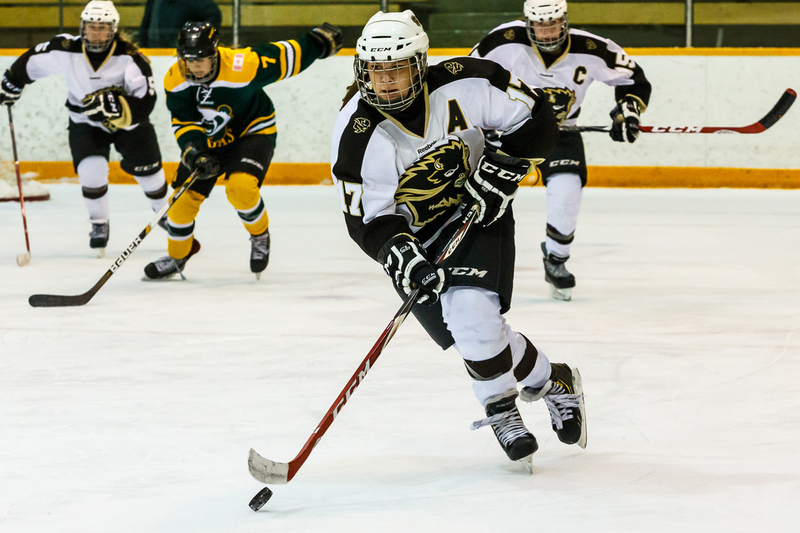 It has been a banner season for the University of Manitoba Bison women’s hockey team, a berth at nationals and a Canada West Championship, and for Venla Hovi, the year has meant even more. The Finnish forward has brought home her second Olympic bronze medal from PyeongChang in February. “It means so much to me,” Hovi said following game two of the semifinal series against the University of Alberta Pandas. Hovi made an immediate impact when she returned to the Bisons lineup in game two against the Alberta Pandas. With her team on the brink of elimination against the Pandas, she helped set up Sheridan Oswald’s last minute goal in game two of the semifinal series. A night later, she set up Jordyn Zacharias’ series-clincher in quadruple overtime that secured a U Sports national championships berth for the Bisons. A defensive miscalculation by Alberta left Zacharias all alone, Hovi sent a slap pass down to her, and she tipped the shot by to send the Bisons on to the conference finals and a berth at nationals. This was the second time Hovi has showcased her elite passing skills in a clutch situation. She earned the primary assist on the bronze-medal winning goal by Linda Välimäki against the Olympic athletes from Russia at the 2018 Olympic Winter Games. The Bisons almost went without their bronze-medal winner last weekend. Hovi was stuck for six hours in Vancouver on Feb. 23 on the way home due to inclement weather and made it back to Winnipeg later than expected, missing a day of skating. The return of Hovi was just the spark that the Bisons needed in their semifinal series against the Pandas. She played with a fire and intensity that was lacking from the Bisons in game one, with the home side on their heels for parts of the opening game. Hovi was physical, made smart plays at both ends of the ice, and was a major driver of the offence in her two playoff games. Bison head coach Jon Rempel was more than happy to have her back so soon. “For someone that just went through an extraordinarily arduous process, with the Olympics being what they are and then the travel, never mind to get back here,” he said. According to Rempel, Hovi’s return so soon after grinding through an international tournament was solely up to her. “She told me she was playing. It wasn’t a long discussion,” Rempel said following the game two semifinal win.